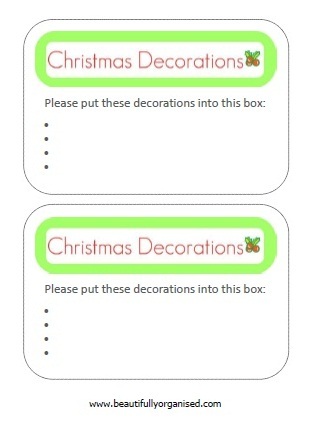 This week is a fun one - we are putting up Christmas decorations - if you haven't already! Decorate in the afternoon or evening just before the tidy / bath / bed routine starts - once you turn on the Christmas lights it creates a cosy glow that will encourage slower, more gentle behaviour. 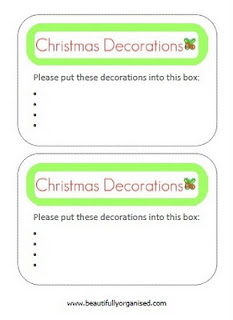 As you unpack each box, just jot down which decorations came from it and place the card in the empty box. Now you don't have to spend ages trying to make them all fit in again when you put them away!